In the kitchen - Wednesday - Dessert2 PEEPS EASTER GARDEN CAKE | A.B.E. Remodeling, INC. In the previous post we gave you the recipe for a cheesecake however, if you do not desire a cheesecake…. This here recipe is cute for Easter Sunday…. It's from Betty Crocker…. And of course you support a local company when you purchase "Peeps". 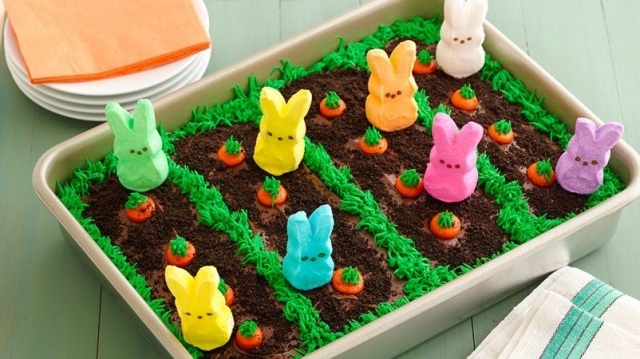 Here's another one to try... Let us know if you make this cute treat for your Easter dinner. Signing off, Have a wonderful Wednesday and be blessed.